I finally finished the quilt I’ve been giving you all sneak peaks of 🙂 This quilt comes together really fast with easy patchwork and cutting, and the design works perfect with this beautiful, fresh and vintage low volume bundle. Also, I’ve had some people ask what I used for my backing and binding fabric. For the backing I used Delilah by Tanya Whelan. You’ll need 3.25 yards. And for the binding I used Old/New 30’s by Lecien. You’ll need 1/2 yard. Okay, enough pretty pictures for now. 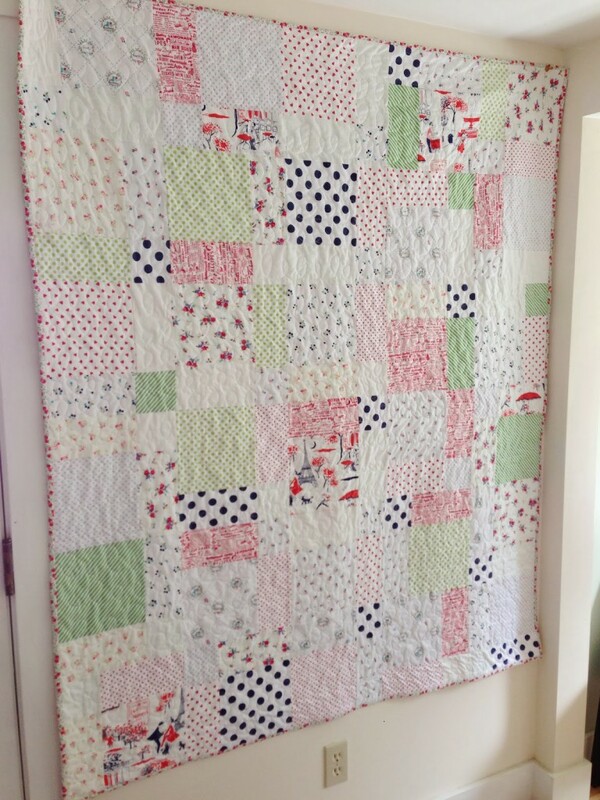 =) Here’s my Whimsy Quilt tutorial! 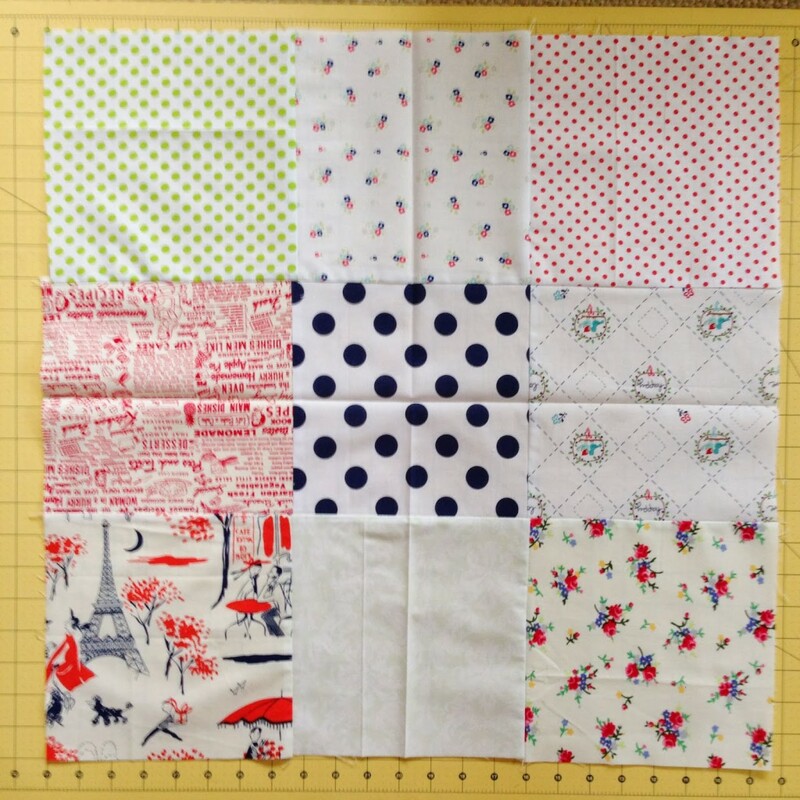 Step 1: From all fifteen quarter yards, cut five 8″ squares from each. This will give you a total of seventy-five 8″squares. 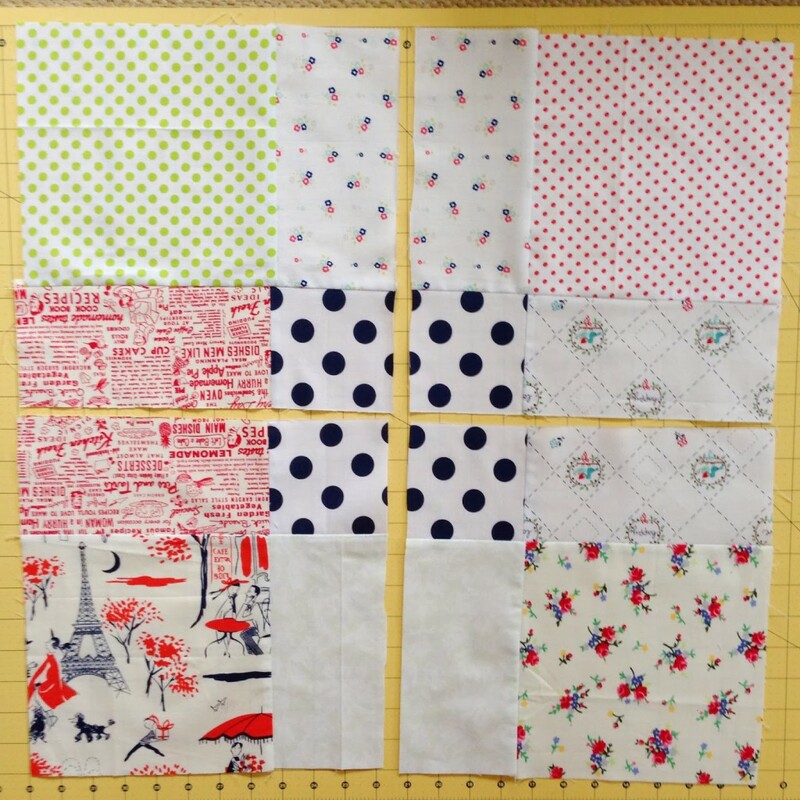 Step 2: Make eight 9-patch blocks as shown below using your 8″ squares. To do this, first sew three blocks in each row together for a total of three rows (with right sides facing together, sew a 1/4″ seam allowance and the press open). Then, sew all 3 rows together. Note: I didn’t put my prints in any particular order. I just started sewing rows with 3 blocks each, and then later picked out which rows I wanted to assemble to make my 9-patch blocks. …then cut those in half so that the block is quartered evenly. Your block will look like this. After you ‘quarter’ all eight blocks, you will have 32 smaller blocks. To make your quilt top, you will need 30 of these blocks. 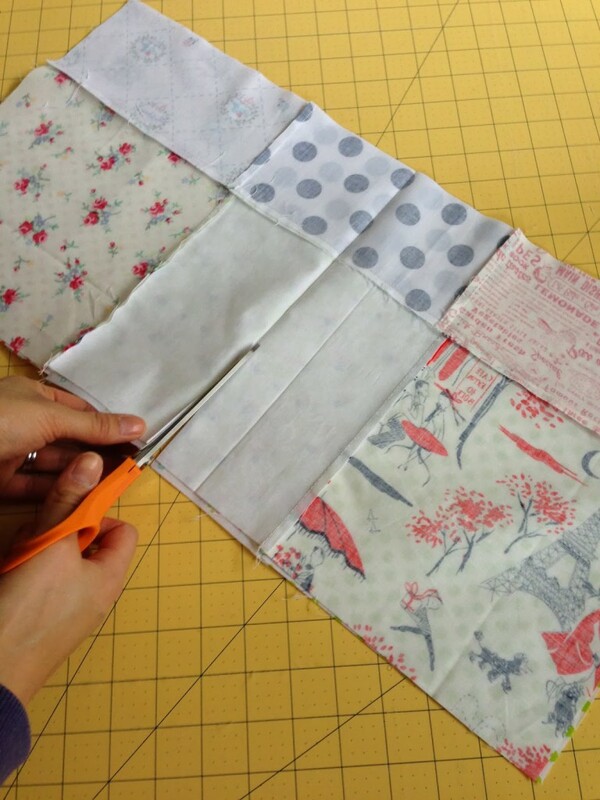 To assemble, start by sewing 5 blocks in each row together (with right sides facing together, sew a 1/4″ seam allowance and then press open). Then, sew all 6 rows together. Tip: Press the seams in each row in alternating directions (i.e. 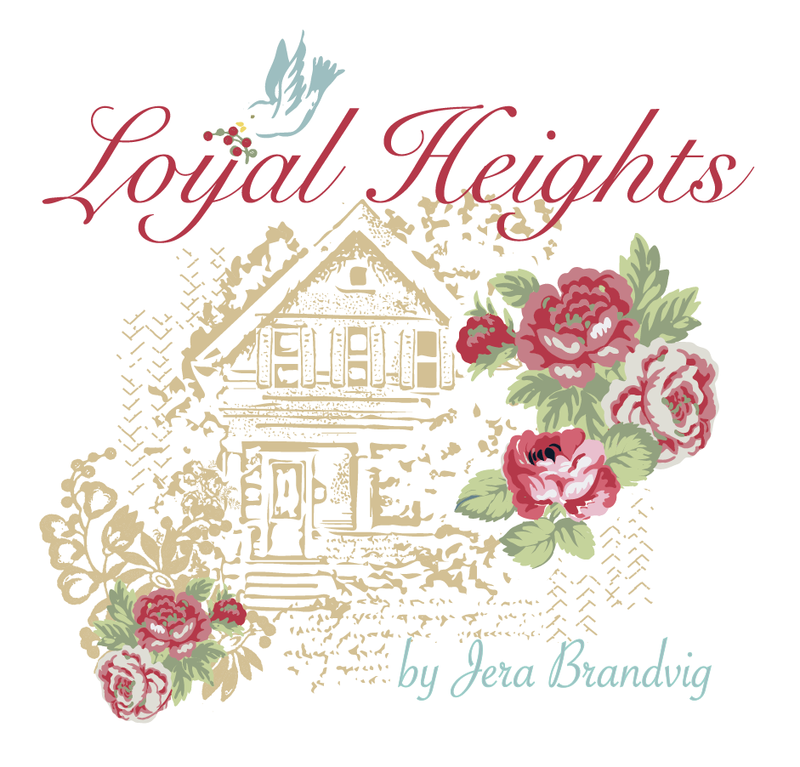 first row, press seams to the left; second row, press seams to the right, … etc.) so that later when you assemble the rows, your seams will nest at the intersections. 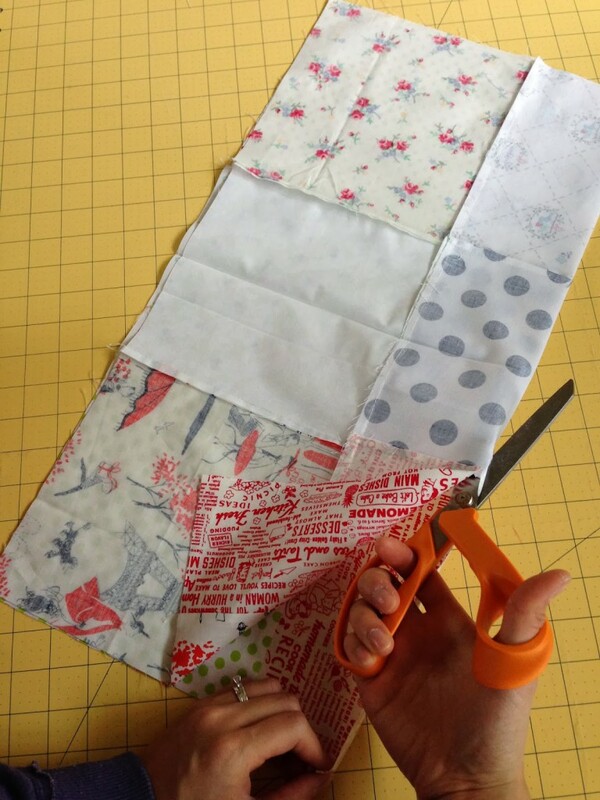 Step 5: Take your backing fabric (3.25 yards) and cut it in half so that you have two 58.5″x43″ rectangles. Sew these together along along the length (with right sides facing together, sew a 1/4″ seam allowance and then press open). Lastly, baste and bind! If you haven’t yet, be sure to check out my binding and blind stitching tutorial for an easy way to bind using an pocket closure. 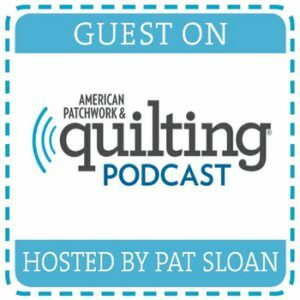 The disappearing nine patch is such a go to quilt pattern when one is short on inspiration. 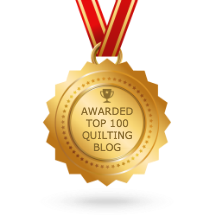 I use it all the time, particularly for baby and toddler quilts. No fail and always pleasing as is this one in the photos. Good job. The bundles are sold out :/ can they add more? Thanks! She's adding more bundles tonight! So check back- will also announce on Facebook. I use my rotary cutter and ruler to cut up the nine patches…so much quicker…and for me, straighter, since my arthritis is not fond of scissors! What would be a good way to quilt this one if my machine can't do free motion quilting? And I'm thinking this would be a good pattern for a baby quilt I'm planning. 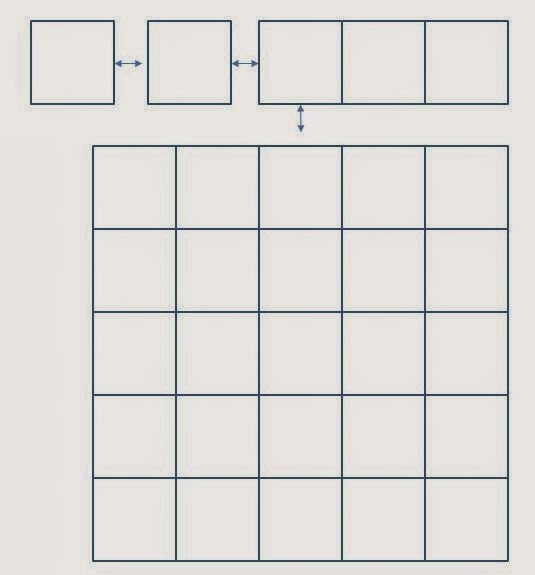 If I want it to be smaller, what size/how many squares should I use? try a 3×4 or 4×5 block formation for a baby quilt. And simple straight lines along the seams to create a grid would look great! I like this quilt. Disappearing 9 patch is so fun and sometimes when the same fabrics touch is gives the pattern some "motion" I like it!! Okay, stupid question alert!… Do you put batting in between? I love how this turned out. You picked some beautiful fabrics!! Thank you! Yes, i used batting. I used Legacy batting by Pellon. it's needle-punched so it's easy to work with but it's still fluffy (fluffier than warm&natural). April, I'd suspect about 15-20 of the pieced & cut blocks would give you a good size baby quilt. 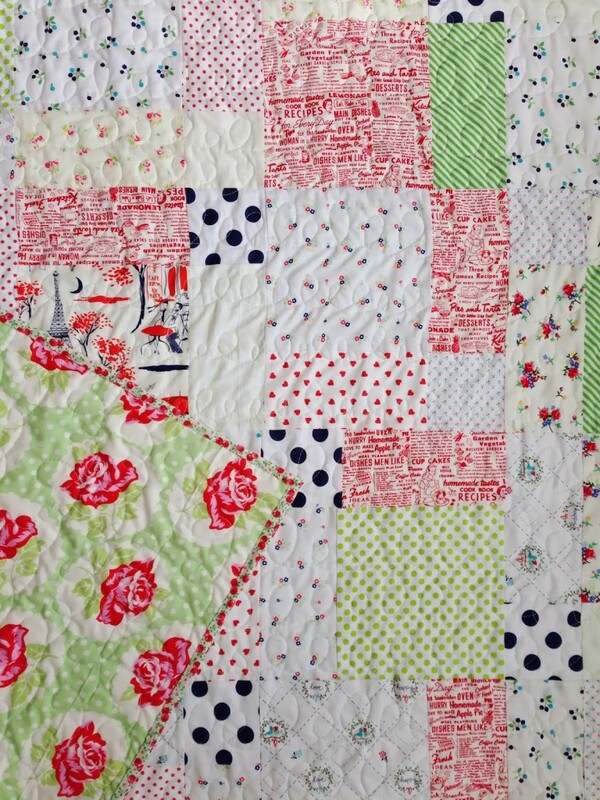 As for quilting, I've done a disappearing 9 patch in the past and did basic straight stitching and it looked lovely. Or you can always quilt on the diagonal as well. 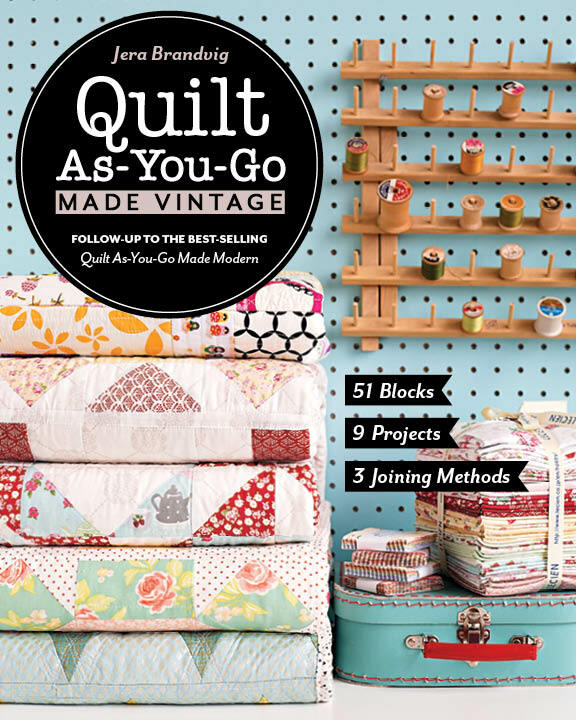 Did you do the quilt as you go method with this one? And when you do, do you use a thin batting? It is truly lovely! So fresh, cute and lovely! 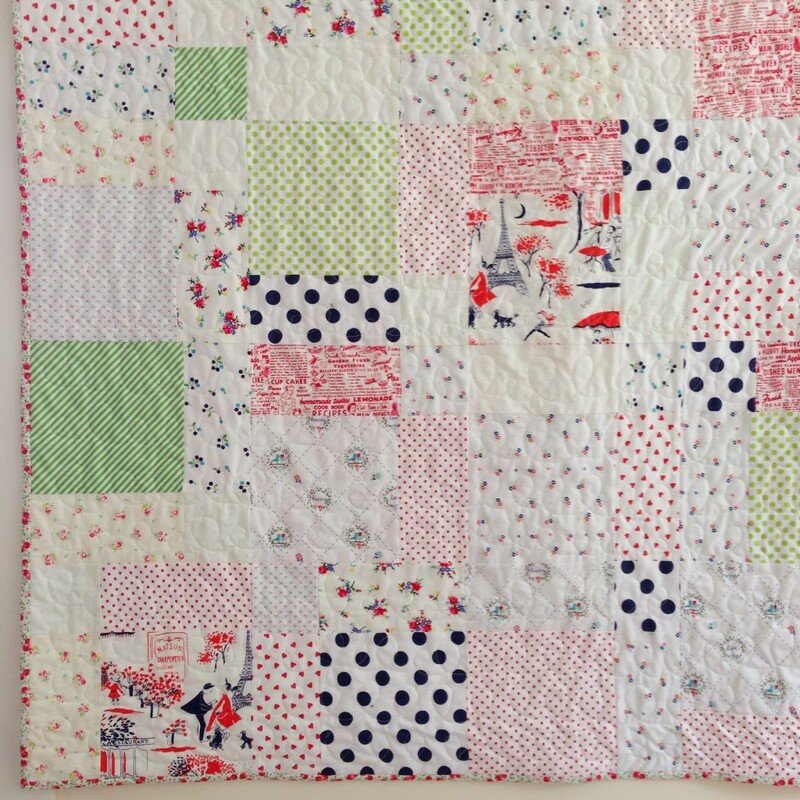 Just made my fabric purchase, this is such a cute quilt! 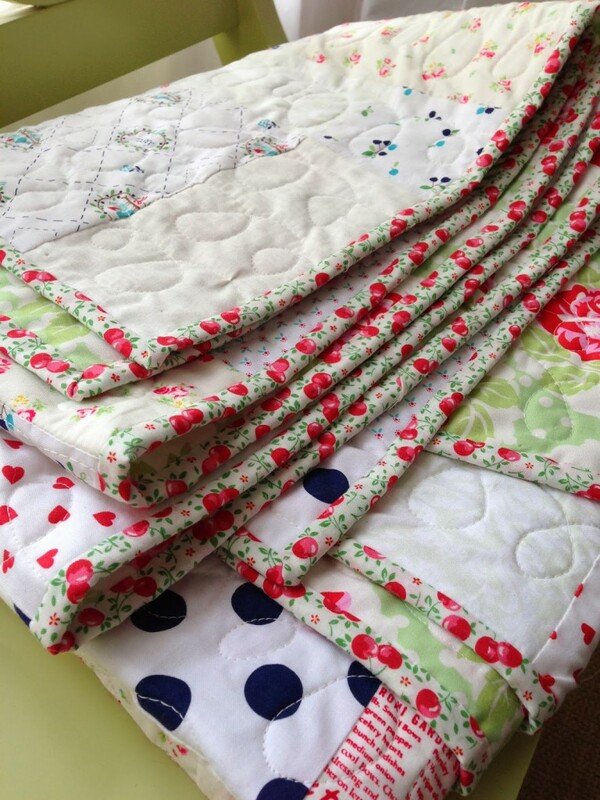 You make such beautiful quilts. Thanks so much for the great tutorials! What is the navy blue polka dot on white fabric named? DNP= Disappearing Nine Patch. A great, enduring block. Love your low volume fabrics for a baby quilt. Hi Jera! Lidia used to be my neighbor in Tacoma (Erin, Finley, Tula…) I am thinking of starting a queen size quilt and maybe something king size I could use as a duvet cover if that is even possible. I can sew pretty basic stuff but where do I even start? Does your book have what I need or a link to something you've done? Your work in amazing! 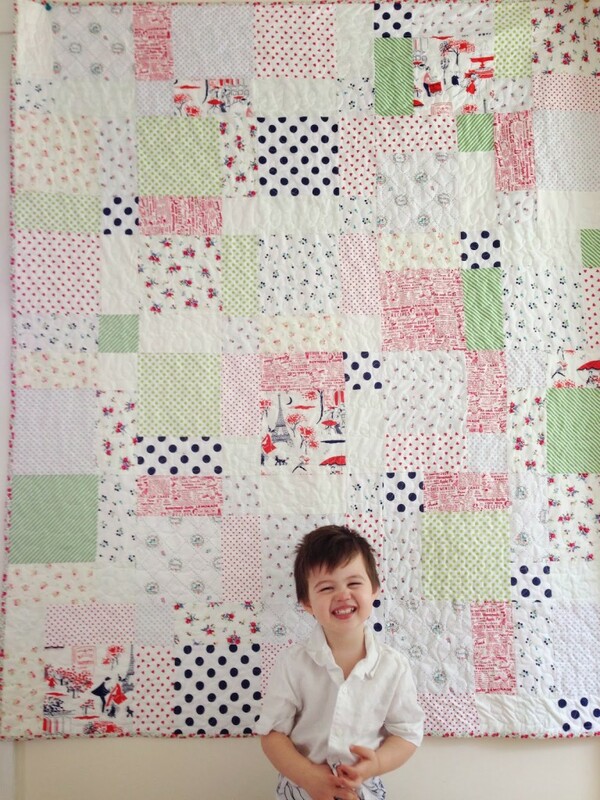 I just now came across this blog, and absolutely love this quilt. 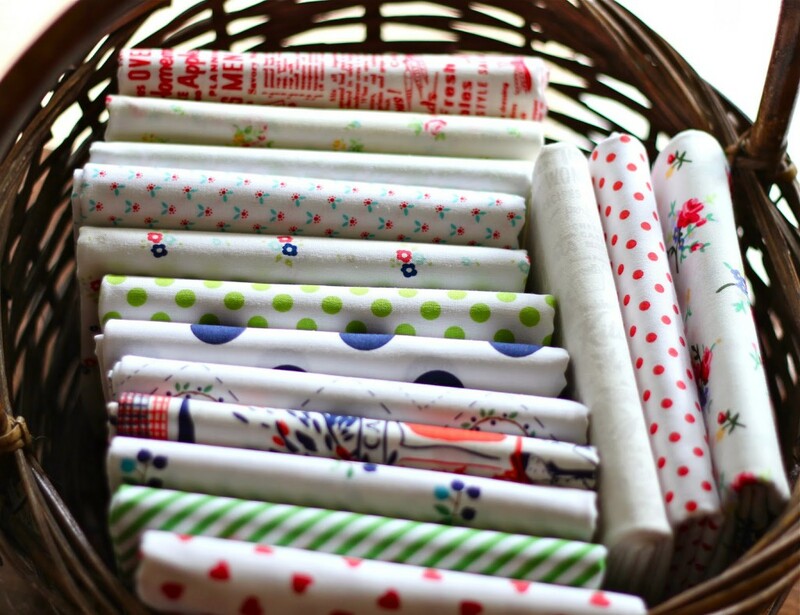 Is there any way I can still get one of these fabric bundles?? This is my favorite quilt I am starting on it tonight. 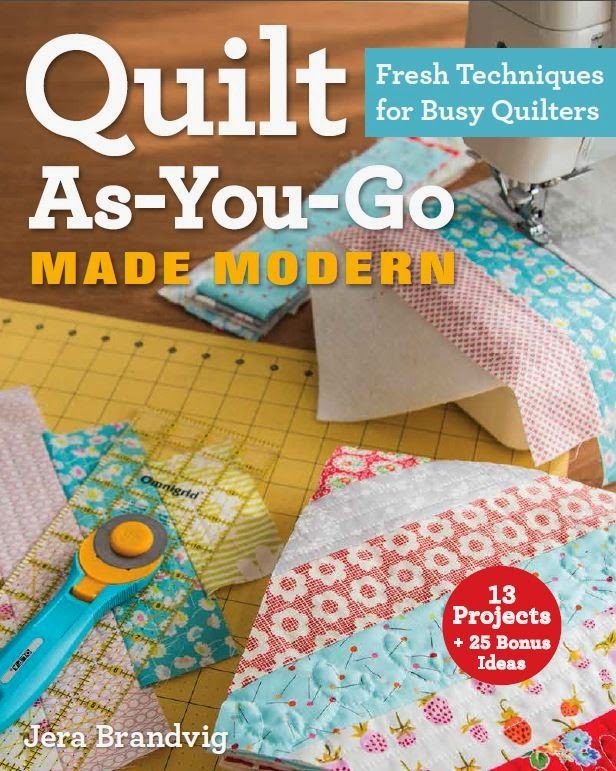 I love how your tutorials are geared for the beginner or the advanced quilter. 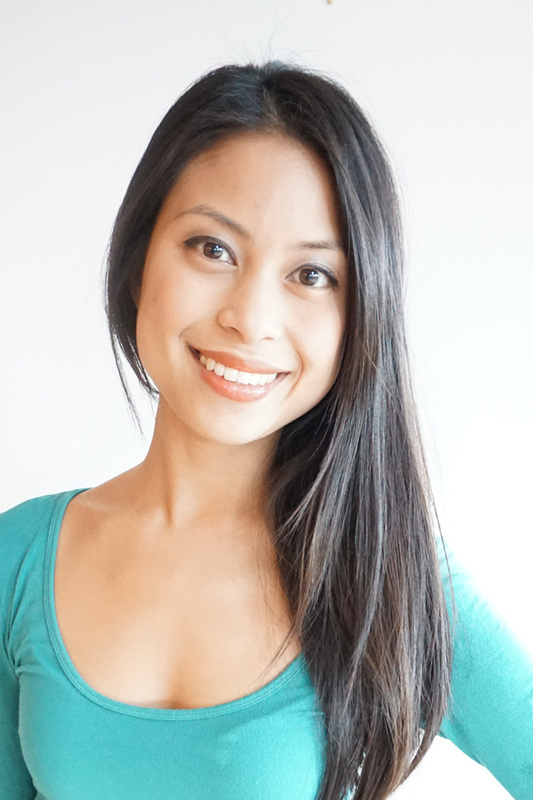 I find your tutorials so refreshing, yes you can use a rotary cutter but scissors is fine. I love that about your explanations and thank you so much for continuing to offer tutorials even though you look quite busy. I will send a picture when I am finished!